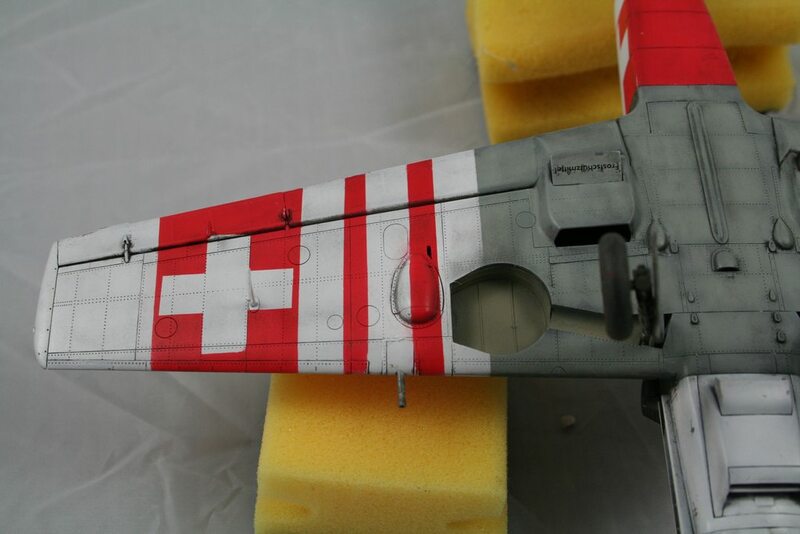 I thought id try something a little ambitious on this 109 as I had three sets of decals for a Fliegerkompanie J-371 Bf-109 E-3, I guess I swung away from doing it before as the size of the decals was a little scary. So I painted it up ready for the decals knowing I had a degree of safety having three sets to get it right............hmmmmm! I gave up,and then broke out the masking tape for a masking marathon â€‹. In hindsight, it was the only way to get this scheme done and I am pretty happy with the overall result. Dang that looks super! 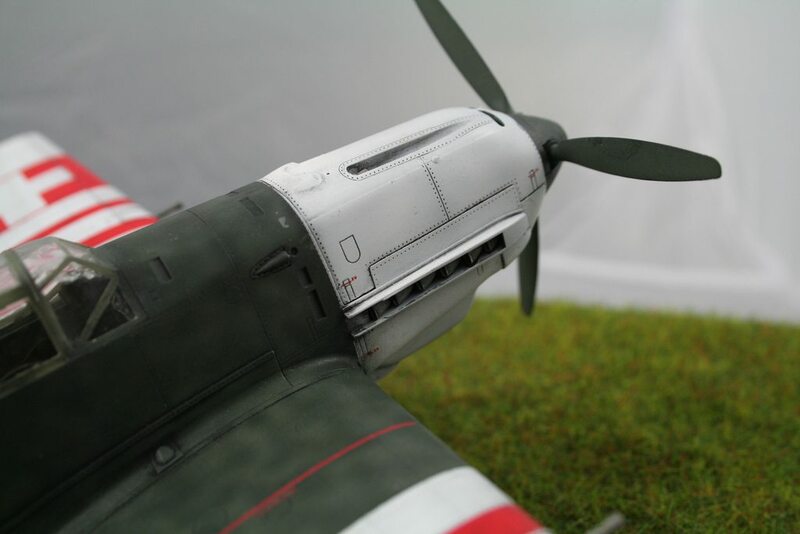 The red and white has just the right amount of weathering to make it look realistic and not too striking. 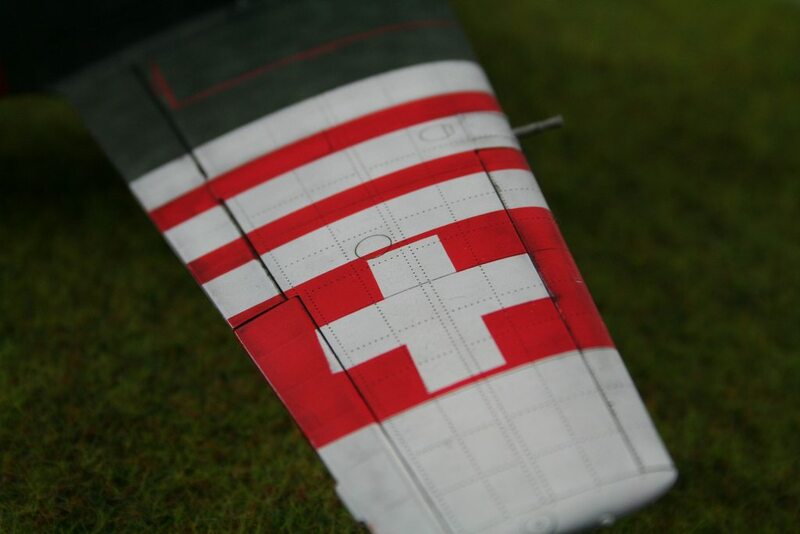 No loss of detail with the red either, well done. Very nice! 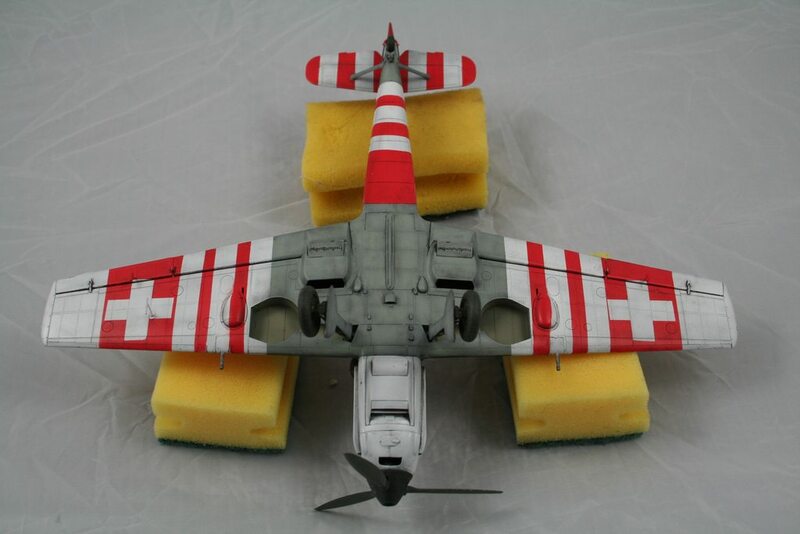 I thin k I would have went with painting instead of decals, too. 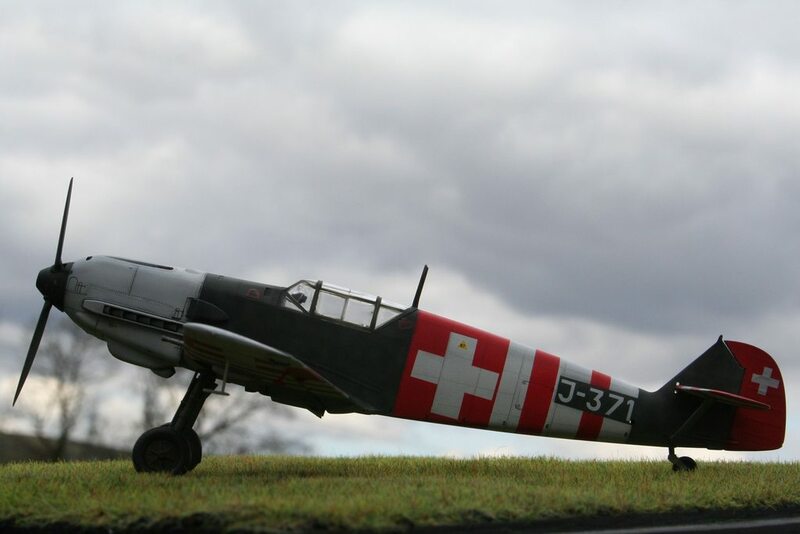 Very cool and unusual looking 109. What kit is this by the way? 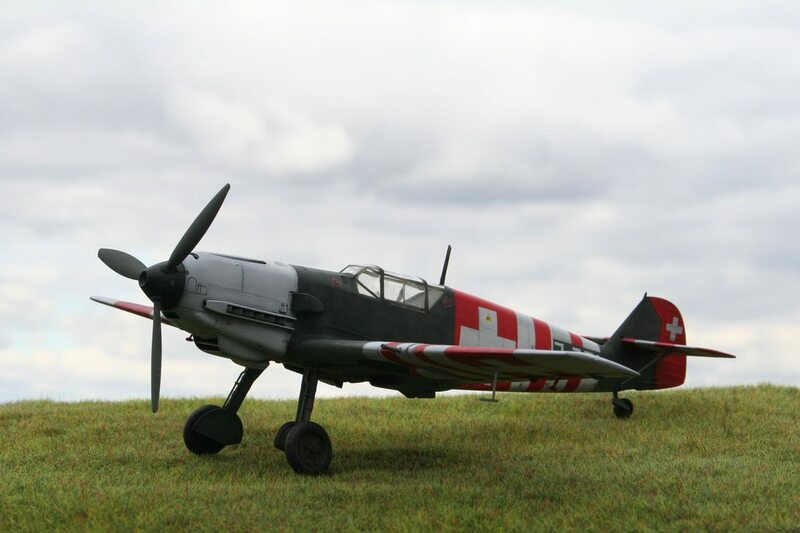 Impressive in every respect David, lovely and unusual Bf109. Well done! 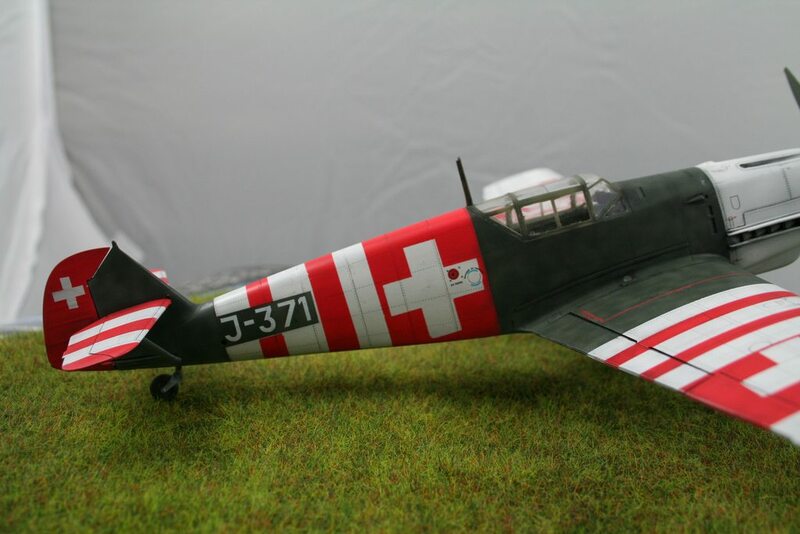 The Swiss 109's are very striking; I think I have decals around here somewhere myself. 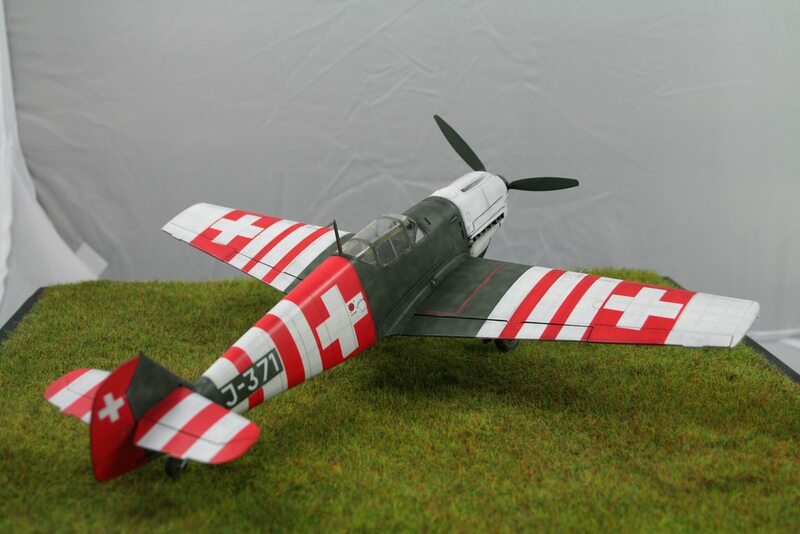 Thanks Ray, it's from the trumpeter bf-109 e-3 kit. It goes together pretty well, but I don't like undercarriage assembly, other than that it's pretty good. 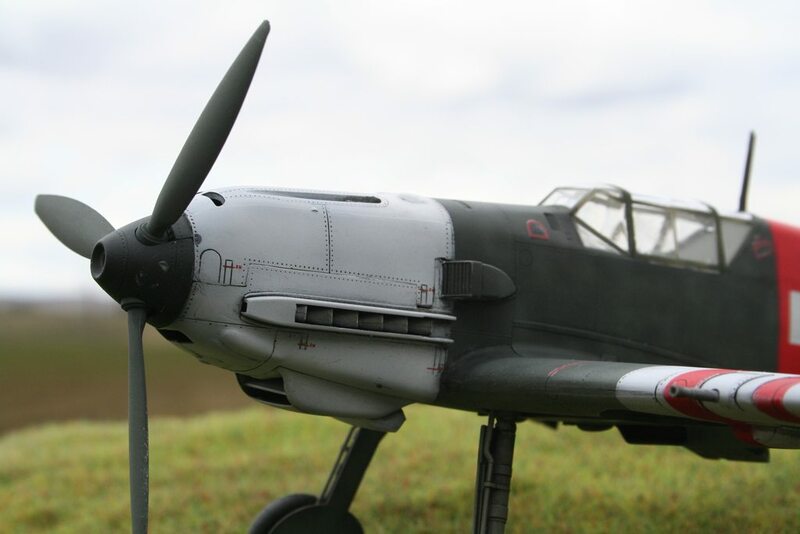 I'm considering trying the eduard 109 kits to compare the two. 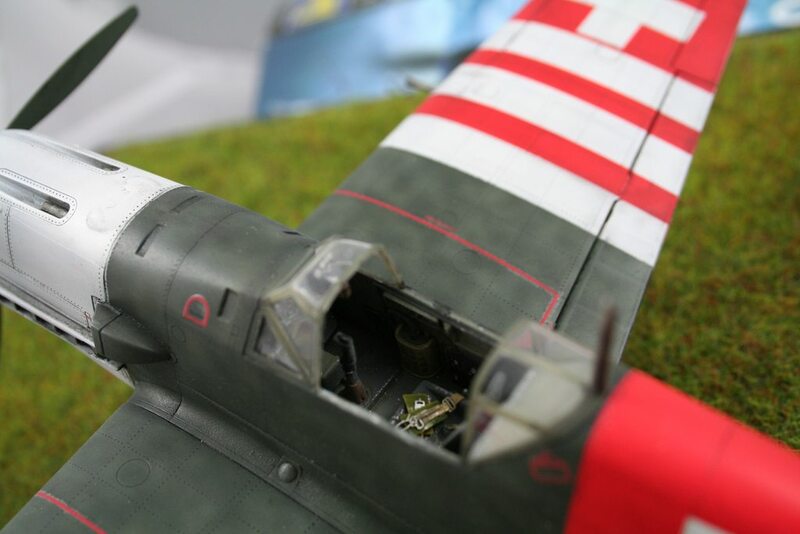 The scheme is very EFFULGENT and your finished model is SUPER looking.